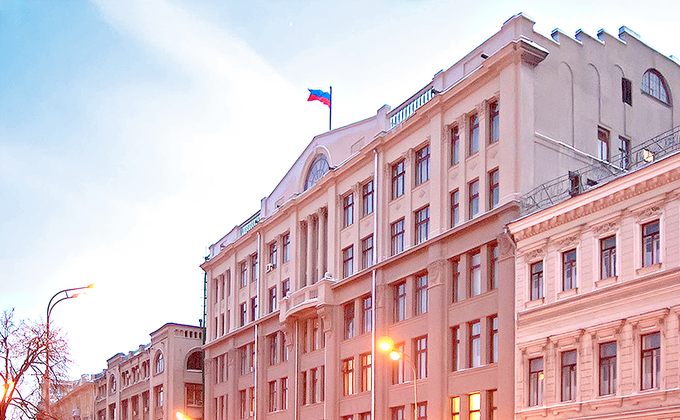 Heads of municipalities Andrei Morev (Yakimanka) and Yelena Rusakova (Gagarinsky), municipal deputies Irina Kopkina (Strogino) and Yelena Filina (Prospekt Vernadsky) arrived at the reception office of the Presidential Administration of the Russian Federation. Nikolai Rybakov, Deputy Chairman of the Yabloko party, also came to support the Moscow deputies. Previously, Rybakov had raised the issue of the transfer of Moscow garbage to the Arkhangelsk region at the “governmental hour” in the State Duma. In the letter, municipal deputies oppose the plans of the Moscow city authorities to transfer and bury solid municipal waste in other regions of the country, and also demanded to change the waste management system through the introduction of modern processing methods. The collection of signatures began on November 30, to date the letter was signed by 135 independent municipal deputies, most of whom represent the Yabloko party on the Moscow municipal councils. The initiators of the appeal were municipal deputies from Yabloko Yelena Filina and Ekaterina Silayeva. Posted: December 13th, 2018 under Environmental Policies, Protection of Environment.